Sony QDG120F (QD-G120F) XQD G-Series 120GB 400MB/s Read/ Write. Card supplied with 120GB Capacity. 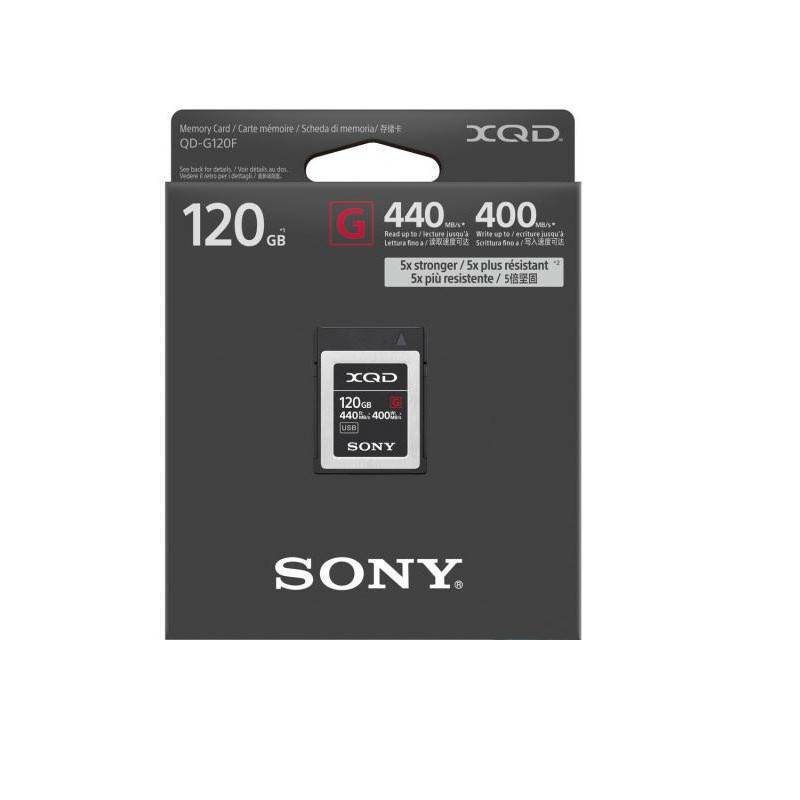 Sony professional XQD memory cards is the perfect solution for bursting shooting and capturing 4K videos. They are designed and tested for reliable use in all environments and are resilient to shocks and weather extremes. The XQD is an ideal choice for filmmakers, photojournalist and professional photographers. The new 120GB and 240GB are 5x tougher than the standard XQD specification.